Our Customer Service team has attempted to contact you on the details provided via Recipe Community to assist with your recipe chip issue. Unfortunately they haven't been able to get hold of you. It may be that your contact details are incorrect or out of date so if you are still having issues and require assistance, please contact Customer Service direct on 1800 004 838. Sorry to hear about the error you are having with your recipe chip. We have flagged your post with our Customer Service Team and a member of the team will be contacting you directly to assist. Thank you for your patience and if you require more immediate assistance, you can always call our Service Centre on 1800 004 838. I've had exactly the same issue right now!! Sorry to hear about the error you are having with your recipe chips. We have flagged your post with our Customer Service Team and a member of the team will be contacting you directly to assist. As of today My TM5 will not register chips. Unless I turn the machine off and then on with the chip in. Sorry to hear about the error you are having with your recipe chip. We have flagged your post with our Customer Service Team and a member of the team will be contacting you to assist. In the meantime, if you need any more immediate assistance, you can always call our Service Centre on 1800 004 838. Hi, my thermie can’t read the basic cook book chip. I have not used it for a while but it’s always been on my thermie.I’ve checked another chip and that works fine. Sorry to hear about the issue you are having with your chip. 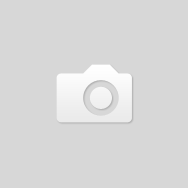 We have flagged your post with our Customer Service Team. A member of the team will be contacting you directly. We thankyou for your patience. Please call 1800 004 838 if you require more immediate assistance. My TM5 is not reading my chips. It sometimes does but moore often than not it is not working. With chips and machines there could be different things stopping the chip from working so it is always best to contact our Customer Service Centre if you ever have any questions or issue on 1800 004 838. Did anyone have a successful fix with this. My TM5 isn't reading the recipe chip either. No idea why it has just stopped. My Basic Recipe Book chip keeps disconnecting all of a sudden. Highly inconvenient, especially after my most recent $370 clean and maintain job. It has barely moved since I got it back. It has not been damaged. If there are so many people experiencing the same issue, I would hope that the root of the problem is/was assessed to show Thermomix is genuinely accountable for their product. I would like this resolved asap please. We have flagged your post with our Customer Service Team. A member of the team will be contacting you directly. My basic cookbook chip was working fine an hour ago but now the Thermomix will not recognise it. Please can you contact me for a replacement. Did anyone else have any success with this. My basic cookbook chip wont read either. But other chips work fine. Clearly this is an issue so is there an easy fix? Mine has done the same thing and I'd like to know that it is able to be fixed quickly. Sorry to hear you have experienced an issue with your Recipe Chip. We have passed your post onto the Customer Service team. Someone will be in touch shortly to discuss. We hope to get you back cooking very soon. 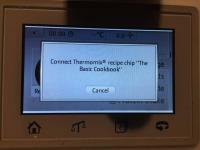 Hi, my recipe chip is not working either - just pops up with a message to connect recipe chip - I tried a friends and it worked fine, so it's definitely the chip. Sorry to hear about the issues you are having. We have flagged your post with our Customer Service Team. A member of the team will be contacting you directly. Hi, I am experiencing the same problem with the recipe chips, my TM5 is not recongnising the chip. We have passed your posts onto our Customer Service team. Someone will be in contact to discuss with you shortly. i am also having this same issue. What can i do fix it. sort of need it urgently as its used for work. I have same issue. Keep gettting message to insert the chip - which is already inserted. Can't find any trouble shooting advice anywhere for this. I have returned the Thermo to factory settings but this did not help. My TM5 is not reading the recipe chips either, is this a fault with them, can you please suggest what to do. Sorry to hear you are experiencing issues with your Recipe Chips. We have passed your post onto our Customer Service team. Someone will be in touch with you shortly. I am also experiencing the same issue with all my chips and my machine is less than a month old. Sorry the hear your Recipe Chip is not playing nice. We have passed your post onto our Customer Service team. Someone will be in contact to discuss with you shortly. I am also having this problem. TM5 not recognising my chip. Sorry to hear about the issues you are experiencing. We have forwarded your details onto our Customer Service department and a member of the team will be in contact with your shortly to discuss. We have passed your post onto our Customer Service team. Someone will be in contact to discuss. I am experiencing the same issue. Could someone please contact me regarding this? A Thermomix team member will be in contact with you directly to assist you with this error. I've just had my TM5 returned to me after having C160 issues only to find that upon the first use with Recipe Chip it doesn't seem to read or recognise the chip. Has anyone experienced this before?